Former U.S. 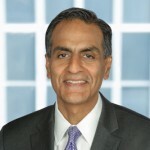 Ambassador to India Richard Verma ’90, Vice Chair and Partner at The Asia Group and Lehigh trustee, will deliver the address at Lehigh’s 151st spring commencement on Monday, May 20. Verma, whom Forbes called “one of the most consequential envoys to ever occupy the prestigious post,” is a distinguished and dedicated Lehigh alum who has left his mark on the worlds of business, law, diplomacy, and the military. Lehigh University recently announced a 10-point plan to support excellence in the university’s Greek life experience. It was introduced to presidents of all of Lehigh’s 25 fraternity and sorority chapters in an early March meeting by Ricardo Hall, vice provost for Student Affairs, who said his focus was on outlining specifics for a path forward for Greek life. Hall said the framework is designed to positively impact the university, with a specific emphasis on building upon both the legacy and the potential of the Greek life community. Your Lambda Chi Brothers Need Your Help Now! Our 2019 giving year, which began on January 1, is three months in with $200 collected from 2 brothers. We want to thank those 2 brothers; Hugh Brown '67 and Robert DeMoyer '66 for making their contribution to Gamma-Psi so far this giving year! Our 2019 giving year goal is for $5,000. Last year only 5 out of 856 alumni chose to make a voluntary gift. If we are even going to get close to our $5,000 goal we need your immediate help! Who will be next to join our 2019 Honor Roll? Do You Remember Gamma-Psi March Madness?